Prescriptive easements and landlord -lessors. 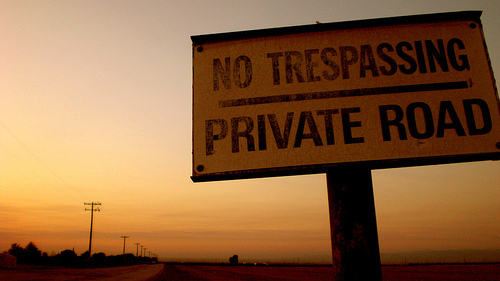 When the easement can be established against the owner of rented property in California. A landlord or lessor does not have any possessory interest in the property during the term of the lease. That is the nature of a lease – the owner transfers the right to possession to the lessee. But what if, during the lease term, a third party trespasses on the property, in a way that may create a prescriptive easement? Under California real estate law a prescriptive easement requires the trespasser showing that they have used the property “for the statutory period of five years, which use has been (1) open and notorious; (2) continuous and uninterrupted; (3) hostile to the true owner; and (4) under claim of right.” In this situation, the issue is the five year period. Real estate attorneys advise owners that the way a property owner cuts off a possible prescriptive easement is by filing a suit for trespass or ejectment. But an action for trespass is designed to protect possessory –not necessarily ownership–interests in land from unlawful interference. As the landlord does not have a right to possession during the lease term, he may not bring an action for trespass. This was the problem presented in a recent decision, where the court found that numerous lease terms ended of the course of the prescriptive period; in one instance the property did not have a tenant for over a year. If the owner never had a possessory right during the prescription period, he had a defense to the prescriptive easement claim. However, in this case, the lessor / owner did not have a tenant the entire period, so the court concluded it should have taken action to prevent the trespassing use. Parties in such situtations may want to consult an experienced Sacramento and El Dorado real estate attorney. 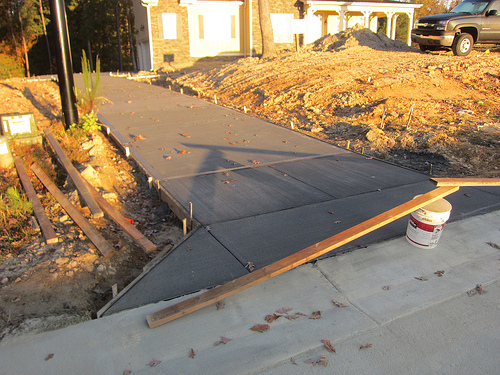 In King v. Wu, King’s predecessor in interest poured a concrete driveway which encroached on the neighbor’s property for a strip eight inches wide. 49 years later, the neighboring owner, Wu, built a guardrail along the trespassing strip. This lawsuit followed. The plaintiff proved the elements for prescriptive easement. The defendant did not prove otherwise, but instead they argued that they had an affirmative defense because they and their predecessors had not been in continuous possession of the Wu property for five years. The court did not buy the defense argument. Remember, there were numerous periods when the property was not occupied by a tenant. There were two lengthy periods when they were in actual possession. Plus, at the end of each lease term, and a change in tenants, they had constructive possession at the expiration of each of the various leases. The court distinguished this situation with that in Dieterich v. JS & J Services ((1992) 3 Cal.App.4th 1601). There, the defendant owner had granted a 49 year lease on the property, and the trespass occurred doing the lease. It was his right to possession in the future that was the concern. The court noted that the right of possession is that stick in the bundle of rights which gives owner the power to prevent others from entering his property. The injury to be prevented is entry onto defendant’s property for the period of the prescription, causing plaintiff’s use to ripen into a right. To protect that interest, defendant must bring an action in trespass or ejectment. But landlords are legally unable to bring an action for trespass as trespass “is designed to protect possessory –not necessarily ownership–interests in land from unlawful interference.” This is in contrast with other sticks in the bundle, such as the right to ownership. The court discussed decisions where the owner who was not in possession brought actions for waste- damage to the property itself, such as using it to dump unwanted materials. Parties who have a right to possession in the future are able to protect such interest.